Met this handsome gentleman at the lovely Christmas Market at Place Sainte-Catherine in Brussels, Belgium. His bright smile and red glasses instantly made me happy! This year Garrett Leight California Optical had a monter at the SILMO fair in Paris for the first time! And what a great monter! Filled with the best collection so far and still keeping it classic and unisex. GLCO has managed to combine the best materials with the best shapes. These classics are hand made in America. Everything from hinges, acetate and plaques are of the best materials. These beauties are lovely, slightly cat shaped and made of great custom made acetate. When I was in Venice I stopped by Ottico Carraro. It’s retty close to San Marco. They carry many brands but they also design their own frames. really classic shapes in chunky and colorful acetate – both optical and sunglasses! I just love this matte rubberized surface. I chose a few of the glasses at the 69th annual Golden Globe Awards. 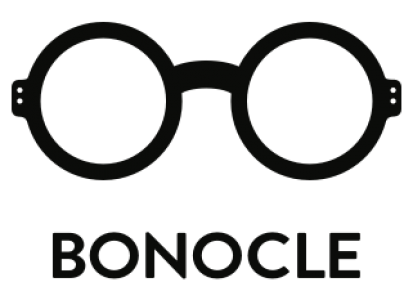 We could see both bold, chunky and retro acetate frames as well as more subtle metal glasses. Ty Burrell wearing Oliver Peoples Sheldrake in Black. Bill Nighy nominated for Best Performance by an Actor in a Mini-Series or Motion Picture Made for Television for his role in “Page Eight”. Steven Spielberg winning Best Animated Feature Film for “The Adventures Of Tintin”. Martin Scorsese winning the category of Best Director – Motion Picture for “Hugo”. Meryl Streep got bleeped for cursing that she left her glasses on the table when she held her speech for winning Best Performance by an Actress in a Motion Picture for her role in “Iron Lady”. John Stamos in what I think is Oliver Peoples Ari in Black. Please correct me if I’m wrong. Photo from here. Sir Elton John in the asymmetrical Alain Mikli AL0721. Photo from here. Let’s go to Nice, France! I think I could spend a whole day in there. The boutique Pour Vos Beaux Yeux on 10, rue Alexandre Mari in Nice, France carries eyewear from 1890 to 1900. Elias, a friend of mine took this picture when he was in Nice, France. Check out his blog Fed Up. There he writes about amazing food from all over the world – and of course: Nice!